The PowerKeep™ 12 is a portable, rugged recharging kit that can be taken anywhere. 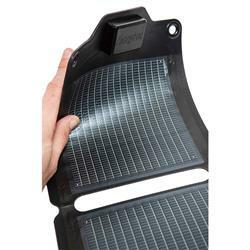 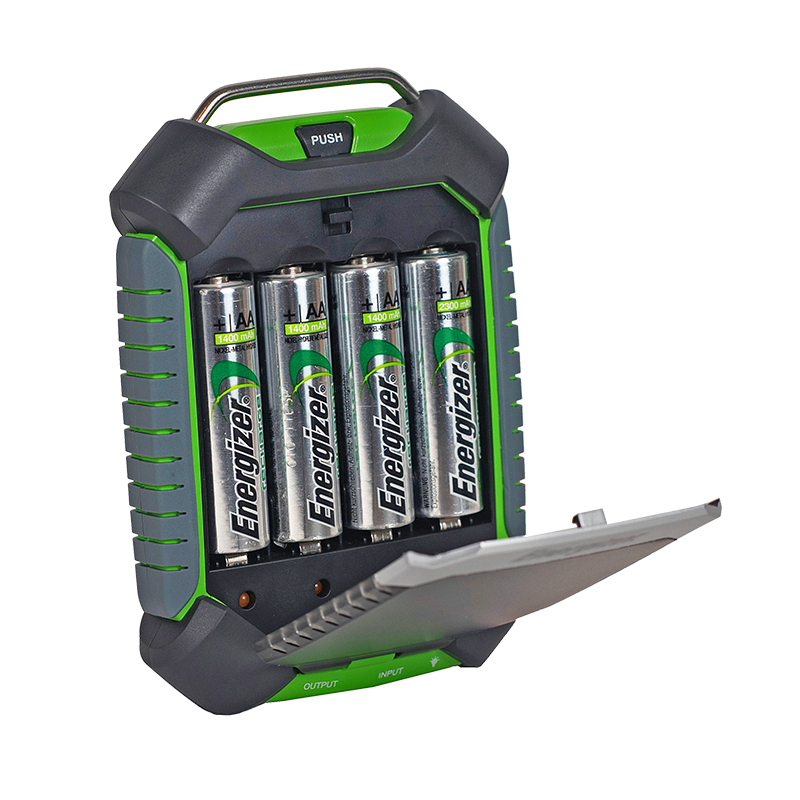 The lightweight and durable kit features four Energizer® NiMH rechargeable AA batteries, a AAA battery adapter, a USB cable and a portable, flexible, 4-panel, fold-out solar power system. 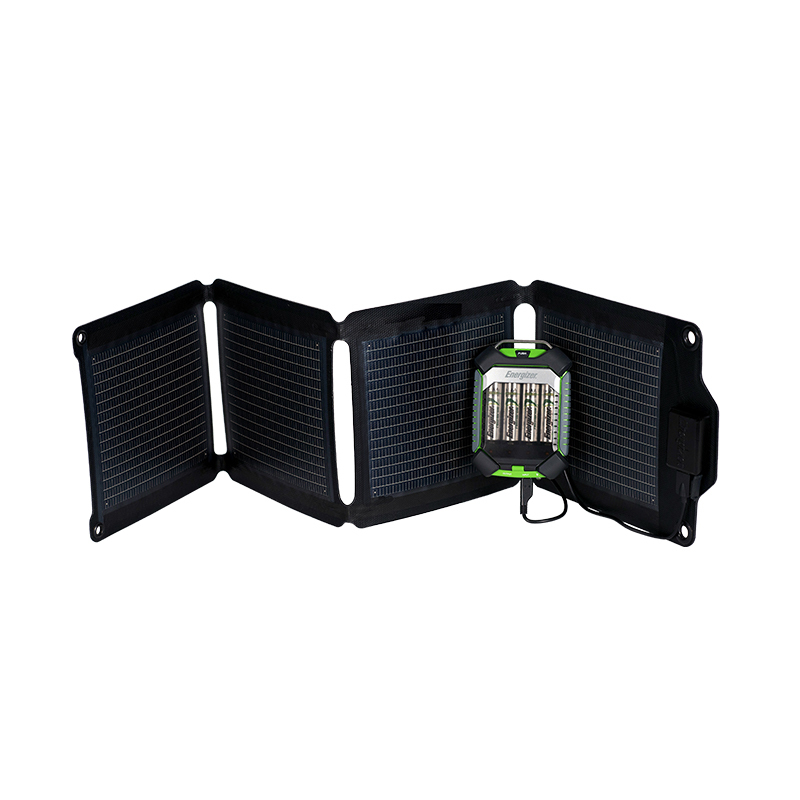 With this state-of-the-art portable recharging kit, you can not only easily recharge AA and AAA NiMH rechargeable batteries, but it also supplies the power necessary to charge your favorite mobile electronic devices, no matter how far off the grid your travels take you. 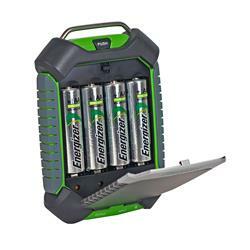 • PowerKeep12 includes: 4 Energizer® AA NiMH rechargeable batteries and a AAA battery adapter; LED integrated light. 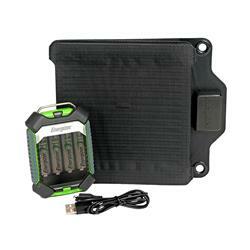 • Charge AA or AAA* NiMH rechargeable batteries from the sun, AC, or any USB charging port and use to power portable electronics such as smartphones, tablets, speakers, etc.